When determining what type and size crane will meet your needs, several factors come into play. Our sales staff work with you to determine what size and weight you need to pick up at a given distance, and what is the maximum reach that you will need. By asking these questions, we are able to determine the best crane for your specific needs. Electric cranes have a duty cycle that is limited to 5 minutes in a 30 minute period. 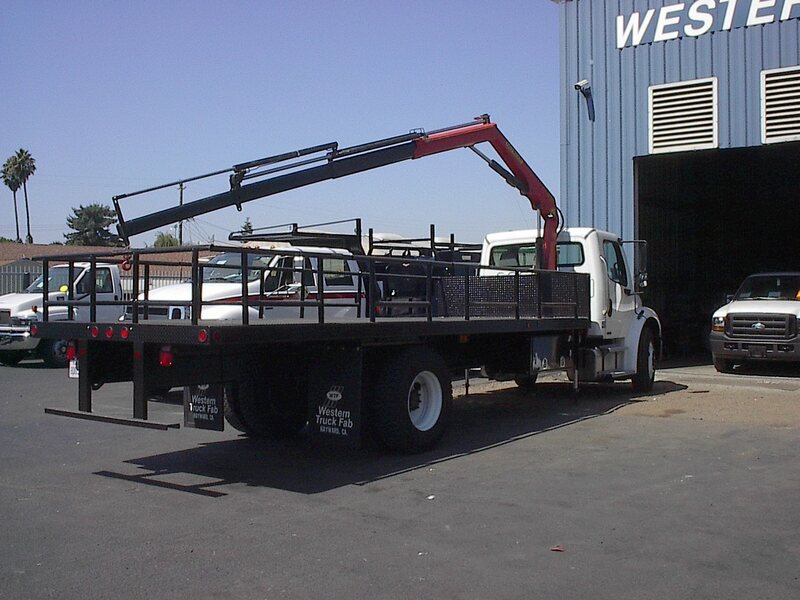 These cranes are great for mechanics trucks and field applications. Hydraulic cranes have a nearly continuous duty cycle. These cranes work well loading and unloading material. Electric crane benefits are reduced cost (no PTO cost), and the truck's engine does not need to be on which benefits long elapse time between uses. An auxiliary battery with an isolator is highly recommended with electric cranes so there is no discharge on the truck's battery. 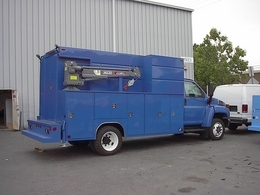 Crane capacity is tied to the vehicle's GVWR and crane support. With a service body application, the compartment and sub-structure reinforcement must be done at the time of manufacturing. On some flatbed applications, crane reinforcement can be done after body manufacturing. 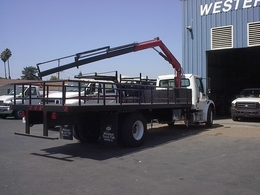 A standard "stick boom" crane is great for service body applications with short reach (around 20'). An articulating crane, which would mount on the chassis frame behind the cab or behind the body, has superior reach when compared to a stick boom cranes.